LEGO Ninjago has to be the first LEGO game to feature a license that strictly belongs to the building block company since LEGO Rock Band- come to think of it, Rock Band already was a property so... LEGO Universe? Ehh. Anyway... Ninjago, as you could probably tell from the name, features an Asian theme. Ninja's in particular. The sets themselves just released to stores and are really pretty cool- they have a lot of action gimmicks that you usually don't find in LEGO toys. 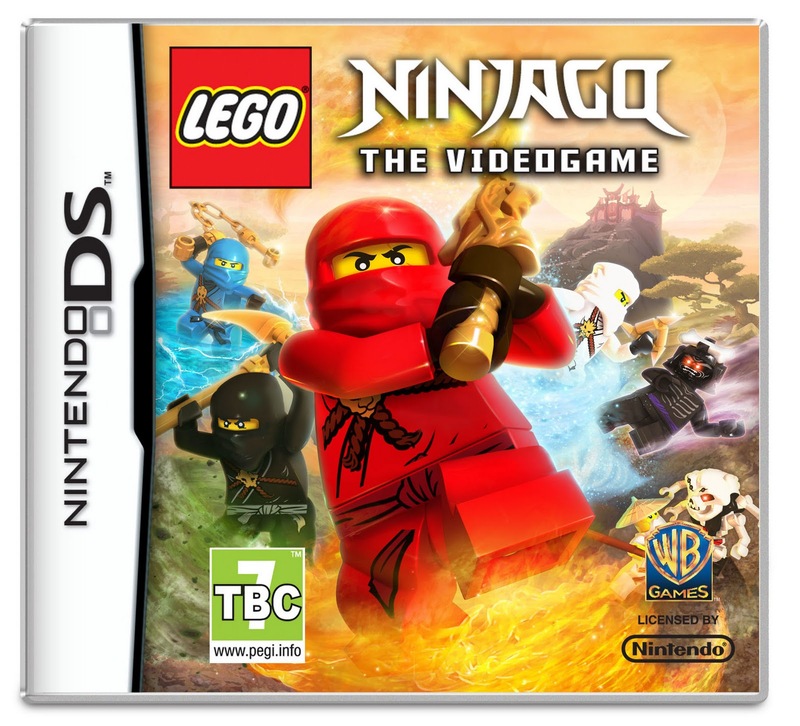 As a companion to said toys, developers Warner Brothers Games has just announced that LEGO's newest will become a game for the Nintendo DS very shortly (no release date yet though). The latest game to feature a LEGO theme is to be developed once again by series mainstays Traveler's Tales and will feature both 'good' and 'evil' campaigns that look to be somewhat reminiscent of the LEGO Battles game that appeared on the DS last year. 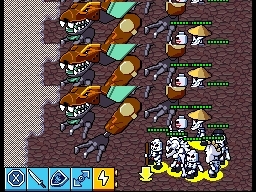 Good or evil campaigns are definitely something new in a LEGO game, a very cool addition- especially since the bad guys in Ninjago are mainly skeleton warriors. Edit: The game is being 'produced' by TT. Hellbent is handling development. Warner Bros. Interactive Entertainment and TT Games are unleashing an epic family friendly adventure with LEGO®Ninjago: The Videogame for Nintendo DS™, the follow-up title to the highly-successful LEGO® Battles videogame. Scheduled for release in Spring 2011, the game complements the line-up of LEGO Ninjago products to be released starting today and going throughout 2011. In LEGO Ninjago: The Videogame, gamers must recover powerful Ninja weapons and overcome challenges featuring dragons, larger-than-life battles and an exciting story line that includes cameos by fan favourites from LEGO Battles. Packed with action and fun, the game allows players to build and customize their own army of Spinjitzu heroes or Skulkin villains as they deploy armies on missions to defeat the enemy. 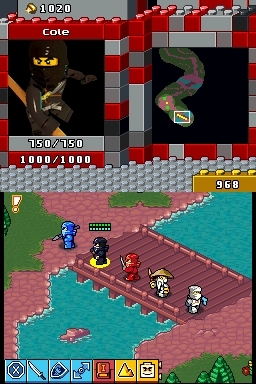 LEGO Ninjago: The Videogame features enhanced graphics and effects, four new multiplayer challenges, and two of the original multiplayer challenges from LEGO Battles, all of which offer kids and families hours of gameplay. In a companion release today, The LEGO Group announced the launch of the LEGO Ninjago construction sets, as well as a new Ninjago world within the LEGO Universe MMOG.